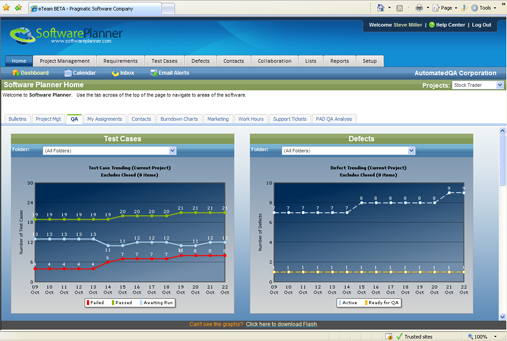 Software Planner provides award winning Software Development Lifecycle (SDLC) and application lifecycle management (ALM) tools that allow teams to complete projects faster and with higher quality. 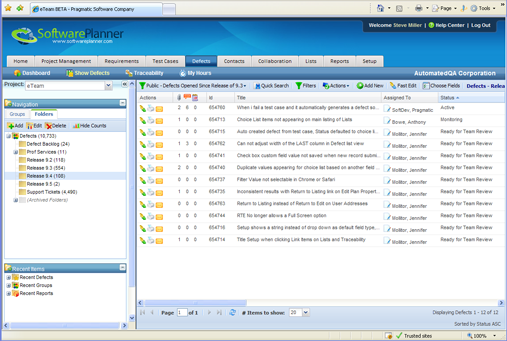 Software Planner is an SDLC and ALM tool that helps Information Technology (IT) departments manage all components of software development including managing customer requirements, project deliverables, test cases, defects, and support tickets. Coupled with collaborative tools like document sharing, team calendars, interactive dashboards, knowledge bases and threaded discussions, teams begin communicating more effectively and begin delivering solutions quickly and with high quality.